A firebomb thrown at a police position on the Temple Mount in Jerusalem prompts officers to make a number of arrests and close off access to the holy site, which has seen soaring tensions in recent weeks over a long-sealed portion of the Temple Mount holy site. The police have no comment on any injuries in the attack. “A short while ago, on the Temple Mount, a Molotov cocktail was thrown at the location’s police post. An officer spotted one of the suspects and arrested him,” police say in a statement. The long-standing closure of the area near the Gate of Mercy on the compound, known as al-Aqsa or Haram al-Sharif to Muslims, has ignited tensions between Palestinian worshipers and Israeli police in recent weeks. Worshipers have forced the area open and entered on several occasions. A Palestinian shot by Israeli forces in clashes on the Gaza border nearly two weeks ago has succumbed to his wounds, the enclave’s Hamas-run health ministry says. Mousa Mohammed Mousa, 23, was injured on March 1 in violent protests along the border, ministry spokesman Ashraf al-Qudra says in a statement. Speaking to AFP, the Hamas member claims Mousa had been shot in the back east of al-Bureij in central Gaza. An Israeli woman who was raped by a Palestinian in the Netherlands over 15 years ago will be recognized as a victim of terror, the Defense Ministry says. Recognition by the ministerial authority will enable the woman to receive state-funded support and welfare benefits from the National Insurance Institute’s department for terror victims. The woman, who was in her 30s at the time, traveled to Holland in 2003 where she was assaulted and raped by Palestinian man. Her request to be recognized as a victim of terror was passed on by National Insurance Agency to the Defense Ministry at the end of 2018. No further details about the assault or the victim is provided in the statement. Hal Blaine, the Hall of Fame session drummer and virtual one-man soundtrack of the 1960s and ’70s who played on the songs of Frank Sinatra, Elvis Presley and the Beach Boys and laid down one of music’s most memorable opening riffs on the Ronettes’ “Be My Baby,” has died. The European Union’s ambassadors in Israel meet with Blue and White chairman Benny Gantz “to hear his vision on EU-IL relations, Israel’s security and regional issues,” EU’s Ambassador to Israel Emanuele Giaufret tweets. In his conversation with the EU ambassadors, Gantz does not explicitly endorse a two-state solution, but indicates that both Israelis and Palestinians “are here to stay” and that an arrangement needs to be found, a participant in the meeting tells The Times of Israel. Christian authorities in Jerusalem are denouncing the acquittal of two Jewish youths suspected of vandalizing a famous monastery. The prosecution’s decision comes after the Lod District Court threw out confessions from one of the suspects that were extracted under extreme duress. Abunassar says the outcome is that those who carried out the attack weren’t “brought to justice” and Israeli authorities must find and punish them to deter others. The attack against the Dormition Abbey, where Christians believe the Virgin Mary died, came amid a spate of vandalism on Christian targets that were blamed on extremist Jewish activists. It was widely condemned. The Benedictine monastery just outside Jerusalem’s Old City is a popular site for pilgrims and tourists. The Israeli Police close the Temple Mount and remove all those in the area after a firebomb was thrown at a police post in the holy site. A police officer sustained light injuries in the attack after inhaling smoke from the fire caused by the Molotov cocktail. The structure was also damaged, police say. At least three people have been arrested in connection with the firebomb attack. “Jerusalem Police Commissioner Doron Yadid visited the Temple Mount and held a situational assessment there. He ordered it evacuated and closed in order to conduct searches for other weapons,” police say. “There is anti-Semitism in the Democratic Party. They don’t care about Israel or the Jewish people,” said the quote from Jexodus spokeswoman Elizabeth Pipko. Jexodus is a new organization founded earlier this month at the Conservative Political Action Conference by Jewish millennials “tired of the Democratic party’s blatant disregard for anti-Semitism.” — an apparent reference to recent controversial remarks made by Democratic Representative Ilhan Omar. Video footage of a group of Israeli soldiers beating a pair of handcuffed and blindfolded Palestinian prisoners earlier this year has been allowed to be published, after the last of the servicemen were convicted of abuse the day before. The video, which was filmed by one of the convicted soldiers, shows the servicemen repeatedly striking the Palestinian suspects in the back of the jeep in which they were riding in early January. The Palestinian prisoners — a father and son — are suspected of assisting a terrorist who had killed two of the soldiers’ comrades in a shooting attack the month before. The pair were indicted earlier this year. The footage served as the key piece of evidence in the trial against the five soldiers who this month were convicted of abusing the prisoners and against their commanding officer who was indicted for failing to prevent the assault. Palestinian Authority President Mahmoud Abbas’ office condemns “the dangerous Israeli escalation in the blessed Al-Aqsa Mosque” and called on the international community to urgently intervene after Israeli forces shut down the holy site after Palestinians hurled a Molotov cocktail at a police post. The left-wing Meretz party files a petition with the High Court of Justice against the candidacy of Otzma Yehudit members Michael Ben Ari and Itamar Ben Gvir, who they argue should be barred from running over incitement to racism. The Central Elections Committee green-lit their candidacies last week. Low-cost airline Norwegian Air Shuttle says it will suspend flights of its Boeing 737 MAX aircraft until further notice. Norwegian, which operates 18 such planes, will keep them grounded pending advice from aviation authorities, operations chief Tomas Hesthammer told AFP in an email. Oman also says it is “temporarily suspending” operations of Boeing 737 MAX aircraft at its airports, AP reports. EU lawmakers vote to lift the immunity of Jean-Marie Le Pen, founder of the far-right National Front, so France can investigate claims he improperly spent EU funds. Members of the European Parliament were responding to a request from French judges investigating charges that Le Pen illegally claimed millions of euros from the parliament to pay France-based staff of what was then the National Front. Le Pen’s estranged daughter Marine, who now heads the renamed National Rally, has already been charged in the case. The charges against her include breach of trust over salaries paid to her chief of staff Catherine Griset and bodyguard Thierry Legier, and complicity in breach of trust as FN leader. An MEP since the 1980s, Jean-Marie Le Pen used his parliamentary immunity to prevent anti-corruption investigators from questioning him in June last year about the case. Investigators suspect the National Front used money from Brussels earmarked for parliamentary assistants there to pay staff for party work in France. It is the latest in several attempts to investigate a case against Le Pen senior, now 90 years old. He was absent from the proceedings. Hamas condemns Israel’s decision to close the Temple Mount after Palestinians hurled a Molotov cocktail at a police post on the holy site. The terror group calls on Palestinians to come and protest Israel’s decision to close its gates. Israeli troops arrest a Palestinian woman who was found in possession of a knife after she approached them as they were guarding near the site of an attempted stabbing attack earlier in the day in Hebron. “A Palestinian woman walked up to the military post in Hebron near the attempted stabbing attack this afternoon. She aroused the suspicion of IDF troops at the location. After a search of her body, the soldiers found a knife in her possession,” the army says. Turkish Foreign Minister Mevlut Cavusoglu calls on “the whole world to react to Israel brazen attacks on our sacred lands” after Jerusalem closed the Temple Mount in response to the hurling of a Molotov cocktails at a police post at the holy site. Authorities have cleared for publication that the second Israeli killed in the Ethiopian Airlines plane crash was Shimon Re’em, 54. Re’em, a resident of Zichron Yaakov, worked for a private security firm and had been on his way to Nairobi for a work meeting. UN Middle East envoy Nikolay Mladenov expresses concern over recent events at the Temple Mount, as Israel shut the site after Palestinians hurled a Molotov cocktail at a police post. “Restraint must be shown to avoid inflaming an already tense situation. The status quo must be fully respected by all,” Mladenov tweets. Police say they have found several containers containing flammable materials, as well as fireworks and Molotov cocktails during searches on the Temple Mount after Palestinians hurled a firebomb at Israel Police. Ten Palestinians have been arrested since. An Israeli sustained light injuries after Palestinians hurled stones at his vehicle at the Gitai Junction in the northern West Bank, the Kan public broadcaster reports. Finance Minister Moshe Kahlon says that if he is not made finance minister after the upcoming elections, he will not take on another position in the government. “My intention was clear, and the leftist attack is predictable and hypocritical. In a choice between surrendering to the High Court of Justice and defeating Hamas, we choose to defeat Hamas, the Arutz Sheva news site quotes Bennett as saying. The education minister has been critical in the past of the justice system for “tying the hands” of soldiers in combat with Palestinian fighters. There is still no indication from Israel whether it would bar a new Boeing plane involved in the Ethiopian Airlines disaster from its airspace, as a growing number of countries moved to do so. The Israeli Airports Authority did not immediately respond to a request to comment on whether it was considering closing Israel’s airspace to the Boeing 737 Max 8. Britain, France and Germany on Tuesday joined a rapidly growing number of countries grounding or closing airspace to a new Boeing plane involved in the Ethiopian Airlines disaster, as a global team of investigators began looking for parallels with a similar crash just five months ago. Blue and White party chairman Benny Gantz will tour the struggling neighborhoods of south Tel Aviv tonight, the Kan public broadcaster reports. South Tel Aviv is a poor area of the city, which has become home to thousands of African asylum seekers over the last several years. “Not only are PM Netanyahu’s comments that ‘Israel is not a state for all its citizens’ repugnant, but they provide vindication sought by extremists. The road to peace is further undermined by this shameful approach,” Gargash tweets. Netanyahu in recent years has boasted of his improving of ties with Gulf states. Not only are PM Netanyahu’s comments that “Israel is not a state for all its citizens” repugnant, but they provide vindication sought by extremists. The road to peace is further undermined by this shameful approach. Some 30 olive trees were found chopped down this morning in the northern West Bank Palestinian village of Burin, the B’Tselem rights group reports. Local Palestinians say neighboring Israeli settlers were responsible for the attack in Burin, which has been a frequent target for hate crimes in recent years. Police say that the Temple Mount will reopen to worshipers and visitors Wednesday morning, some 24 hours after the holy site was shuttered after Palestinians hurled a Molotov cocktail at a police post. A Palestinian man died after being shot by Israeli forces during clashes in the West Bank, medics and the Palestinian health ministry says. The leadership of the Blue and White party agrees to make Yair Lapid the faction’s main point person for running the election campaign after several instances of mixed messaging from various candidates in recent weeks that may have contributed to a plateauing in the polls. Hadashot news reports that Lapid was the most practical choice, given his political experience over the past seven years as head of Yesh Atid. Prime Minister Benjamin Netanyahu’s son Yair has been placed on mandatory leave from Shurat Hadin where he works as social media manager until after the April elections. Officials in the Tel Aviv-based non-governmental organization, whose aim is to put terror organizations out of business, told Channel 12 that the decision was made partially in light to the controversial tweets that the younger Netanyahu posts. 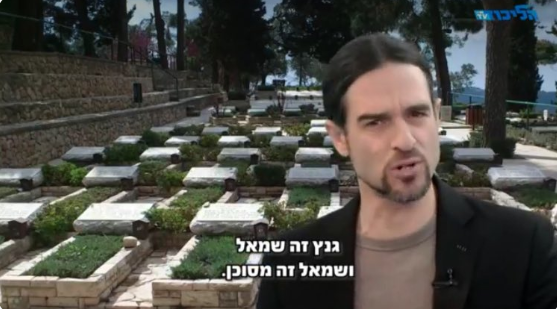 Shurat Hadin is a nonpartisan organization and is reportedly worried about the prime minister’s son tarnishing that image. However, the NGO told Channel 12 that the decision was made mutually by the parties. Associates of Netanyahu told the news channel that the premier’s son was the one who asked to take time off. US and Taliban negotiators wrapped up their latest round of marathon peace talks on Tuesday with “real strides” made but no agreement on a timetable for troop withdrawal, the US special envoy says. “Just finished a marathon round of talks with the Taliban in #Doha. The conditions for #peace have improved. It’s clear all sides want to end the war. Despite ups and downs, we kept things on track and made real strides,” Zalmay Khalilzad tweets. The talks focused on the withdrawal of US troops and assurances that insurgents would not use Afghanistani territory to stage future attacks. “Progress was achieved regarding both these issues,” says a Taliban spokesman. It is unclear as yet when the next round of talks will take place. The talks spanned 16 days, which is thought to be the longest consecutive discussions held between both sides. There are some 14,000 US troops currently based in Afghanistan. 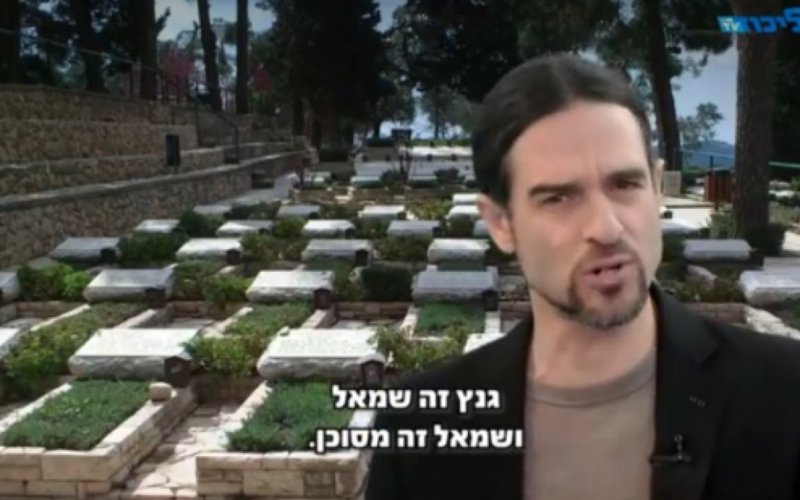 Avishai Ivri, a journalist and right-wing pundit turned Likud campaign presenter, has been fired from his position within the ruling party after a video last month in which he claimed that if Netanyahu’s rival Benny Gantz becomes premier there will be “hundreds” killed, while using an image of a military graveyard as background. Ivri had been placed on leave after the incident, but Channel 13 reports that he has now been fired. The EU’s chief Brexit negotiator Michel Barnier warns British lawmakers Tuesday against the “dangerous illusion” that they could benefit from a transition deal even without a proper divorce deal. “Listening to debate in @HouseofCommons: there seems to be a dangerous illusion that the UK can benefit from a transition in the absence of the WA (withdrawal agreement),” Barnier tweets in a dramatic intervention as British MPs prepared to vote on the deal struck by Prime Minister Theresa May. US envoy Jason Greenblatt thanks outgoing Palestinian Authority Prime Minister Rami Hamdallah for his service and wishes his successor Mohammad Shtayyeh luck in the new post. Good luck to @RamiHamdalla as he begins the next chapter of his career. Over the years the US has achieved some good things with him as PM, despite our differences. I wish him well. Welcome to the PA’s new PM Mohammed Shtayyeh. We hope this is a sign that the PA will focus on very important issues including the suffering of the Palestinians in Gaza, building a strong economy, enhancing the partnership between the public & private sectors & peace! The US special envoy on the crisis in Venezuela says that Washington would soon impose “very significant additional sanctions” on financial institutions doing business with the regime of Nicolas Maduro. Elliott Abrams also tells reporters that “additional visa revocations” targeting Venezuelan officials would be issued.